I’ve been looking at ‘cadet’ Basrawi’s eloquent words in his tweets and social media posts since early 2018. It’s very good to see other cadets, their parents and seniors coming together to resist this behavior. Here’s my contribution, which is just a cut & paste of some facts on Rick Saccone. I sent this to you before, but it never got bumped. The timing may be better, now? Saccone was given the opportunity to run against Conor Lamb when Tim Murphy (R-PA) resigned upon revelation that he had pressured his mistress to seek an abortion. • Rick Saccone entered the U.S. Air Force in 1976 at the age of 18. • Rick Saccone served for five years as an aviation mechanic, and then worked for 11 years sometime after that in OSI, counter intelligence. • Rick Saccone doesn’t advertise the Air Force rank at which he retired in 1994, but per the DD-214 he eventually released, that rank was Captain. • Rick Saccone became a civilian employee of the U.S. Army during the Iraq War, working in Iraq from 2004-2005. While in Iraq, Saccone worked as an interrogation consultant at the infamous Abu Ghraib prison, commencing his service there AFTER the abuse scandal of 2002-2003. • Eleven soldiers were convicted of various charges relating to the incidents, with all of the convictions including the charge of dereliction of duty. The punishments were light on soldiers who were being led by others. Anonymous special agents directing the action were never brought to justice. • Rick Saccone advocated for waterboarding, sleep deprivation, and other forms of enhanced interrogation, aka torture in published articles and in his book, “Unseen War in Iraq: Insurgents in the Shadows”. • In an interview in 2017 with the Pastors Network of America, Saccone stated that God wants those who have the “fear of God in them” to “rule over us”. • In the 2017 Alabama special election, Saccone defended the defeated Roy Moore from accusations of sexual assault. 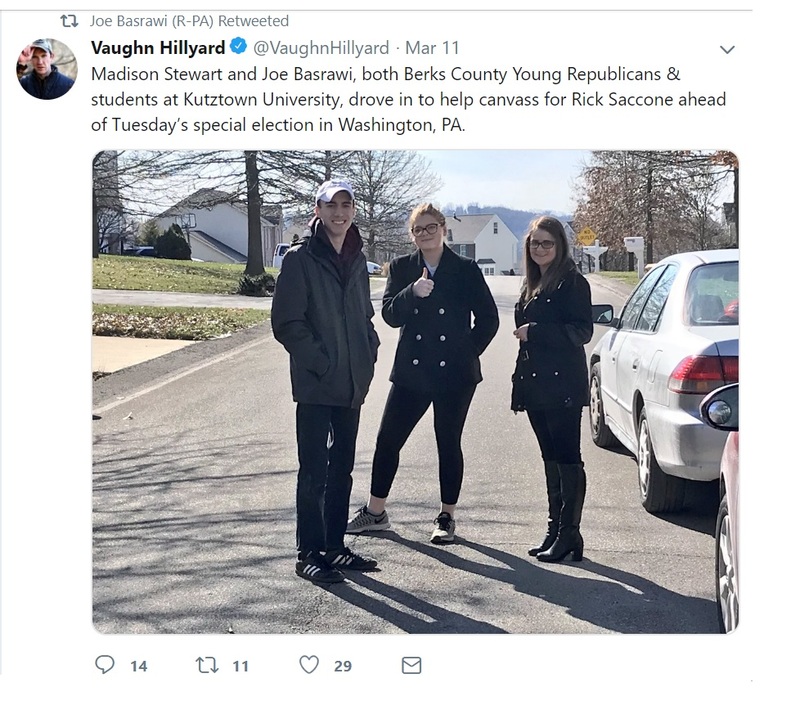 • Rick Saccone supported large-scale cuts to K-12 education, childhood education programs, public libraries, child welfare, and other state programs in order to pay back the federal government’s debt. • Rick Saccone’s beliefs are strongly influenced by Christian reconstructionist and author David Barton, who also introduced Saccone’s 2018 special election run. • On Wednesday March 21st 2018, Rick Saccone conceded his loss to Conor Lamb in a close special election for Pennsylvania’s 18th Congressional District. Be the first to comment on "Civil Air Patrol Member Chose Rick Saccone"